How Do I Choose the Best Frozen Pancakes? Pancakes can be made from scratch and then frozen. 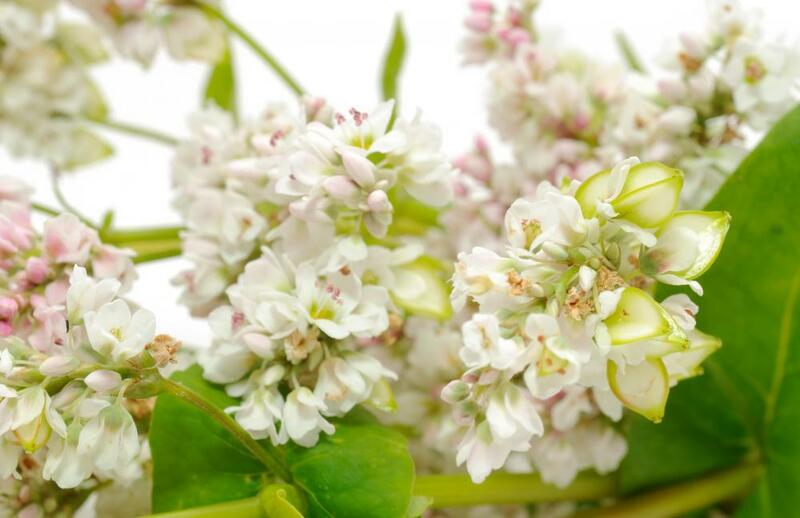 Flour made from the buckwheat plant can yield a heartier flavor to pancakes. When looking at different frozen pancakes, consider the types of ingredients in them and the way in which they are made. If you prefer buttermilk over sweet milk varieties, for example, then look for packaged pancakes that are made using these ingredients. 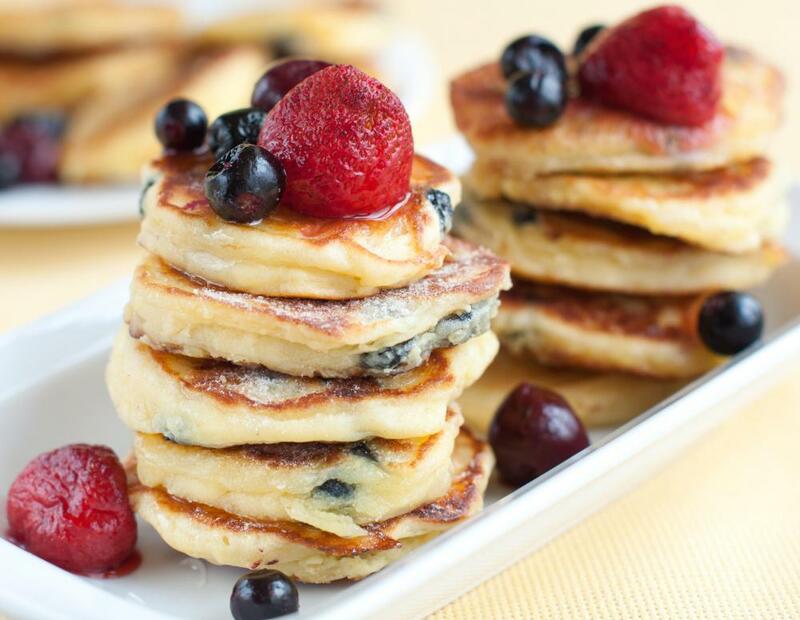 You may also be able to find specialty pancakes, like those containing blueberries or similar types of fruit, which are frozen and can easily be reheated in a toaster or microwave. It is also fairly easy to make your own frozen pancakes, by simply following a recipe that you like and cooking them, then freezing them afterward and storing them for later. One of the first things to consider as you look at types of frozen pancakes is the variety that you like the most. Different basic ingredients can be used in making pancakes, including the type of milk and what sort of flour is included in the batter. If you like buttermilk pancakes, which typically have a bit of tanginess to them, then look for frozen pancakes that are made with buttermilk. You may also be able to find some varieties that are made using buckwheat flour, which are often denser and have a more robust flavor. There are also frozen pancakes that are made with additional ingredients in them, such as fruit or other types of sweeteners. Blueberry pancakes, for example, are quite popular and can be found in frozen form from a number of different manufacturers. You might compare different types, and look for reviews from other people, however, to determine if some companies tend to use fewer blueberries in their frozen pancakes than others. This can help you find a brand that includes fruit, chocolate chips, or other ingredients you like with a good number of them included in each pancake. You might consider making your own frozen pancakes, as this is typically less expensive than buying commercial brands and allows greater control over the ingredients. There are numerous recipes that you can use, which are usually quite simple and require basic ingredients such as eggs, milk, and flour. Once you make the batter, you can cook them on a griddle or in a frying pan. Place the pancakes in a freezer, ideally on parchment lined baking sheets to keep them from sticking together while freezing. Simply remove them from the sheets after a few hours and place them into a freezer bag or similar container for long-term storage; you can reheat them later as you would any other frozen pancakes. What Are the Best Tips for Freezing Buttermilk? What Is a Potato Waffle? What is a Corn Cake? I ate frozen pancakes almost every morning for breakfast all throughout high school. My mom was not really big on waking up early and making me breakfast but she always kept the freezer stocked with frozen pancakes. I was a big guy back then and had the normal boundless appetite of a teenager. There were some mornings when I would eat 9 even 12 pancakes. Thinking back on it my mom must have spent a fortune buying all those pancakes. It's funny because now I don't even really like them. Choosing the best frozen pancakes is really a matter of taste. Some are better than others and you have to find one that you like and stick with it. One other thing to consider though is whether or not you can make them in your toaster. Most are designed to be cooked in a microwave but some can also be cooked in a toaster.